If you've ever delved through the inter-webs or spent any time on Instagram, you have probably heard of bullet journaling. So many people are curious as to what it is and how to do it. I have always been a planner addict. They make me feel like I'm being productive even though sometimes I'm not. But telling a planner addict who can't quite find the right planner for them that they could switch to a whole new system is scary. I've had a planner since I was like 15. I'm in my 30's now, so pretty much half of my life and all of my adult life. I hopped from planner to planner, never really finding one that truly worked the exact way I wanted it to. But I suffered through it for the sake of organizing myself. My first attempt at bullet journaling was a major fail. Why, you may ask? Because I'm not a truly artsy person. I can draw and doodle some, but my bullet journal is definitely not artsy. I tried so hard to get it to be pretty, I forgot the fact that I needed it to be organized. That's it. Bullet journals were originally meant to help you be productive. To give you a way to personalize your planning system. There's a ton of artsy people out there so of course there is a realm of those journals out there. A quick search on Instagram for "bullet journal" and you'll see what I mean. If you love art and being fancy, by all means, make your journal just that. But if you're not, don't sweat it and don't compare your journal to others! I cannot stress that enough. Any bound or ring paper system and a pen! That, my dear friend, is the beauty of bullet journaling. For me, I put a key in the front of my journal. Do I use it? Not really as much as I'd like to. Will I do another one in my next journal? Probably not, unless I stay with a Leuchtturm because they already have Key pages in the front. I really recommend watching the above video. It gives you an idea how to start, but you can really make it out how you want it to be. I honestly suggest using an old journal with some empty pages still in it to start with. This way, you can find what works best for you and you don't have to spend any extra money on a fancy journal. My most used pages are my monthly and weekly pages. I don't tend to have daily pages unless I have a ton going on that week that really won't fit into my weekly pages. It's really up to you. I like to put my calendar type pages in the front of my journal and use the second half for schedules, routines, and notes. But I feel like I'm re-inventing the wheel here! Some people feel this way about bullet journaling and would rather stick to their pre-printed planners. If that's you, that's ok! Don't fix nothing that ain't broke, as the old adage goes. 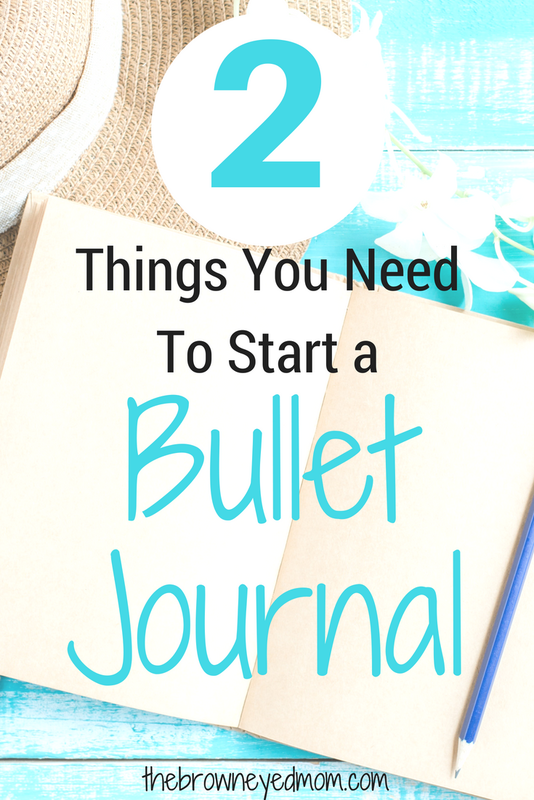 But if your planning in your pre-printed planner just isn't working, then it may be time to try a bullet journal. It honestly doesn't have to be complicated. And as you see in the video, you don't have to make your bullet journal look like a traditional planner. I think that's where a ton of people go wrong when they are starting out. You search Pinterest and Instagram for bullet journals and end up going with what you know when you're setting it up. Then, it just does for you what your old planner that wasn't working for you did. Some people just need calendar pages and daily pages to write their to-do lists. Some people need habit trackers and notes pages, brain dump pages, etc. That's why I say grab an old spiral or bound journal that you used for something else at some point and play around with it. See what pages would be beneficial to you and what you can leave out because it doesn't work for you. Once you figure out what suits you best, buy whatever supplies you need to get it going. I currently use a dotted Leuchtturm 1917, sharpie pens and washi tape here and there (mostly to mark my monthly pages so I can turn to them quickly). Honestly, I have nothing really expensive or fancy. At least for now! My journal is probably the fanciest thing right now but I really wanted a dotted bound journal. I'm kind of a pen addict and I've tried really hard not to buy any fancy pens no matter how much I want them! My husband would roll his eyes at me if I bought any more pens. They're just kind of a weakness! In getting started, have fun! Don't get too worried about being perfect or mess ups. This journal is for you and for you to get/stay organized. It doesn't have to be fancy (unless you want it to be!). You can get lined pages, dotted pages, graph pages or blank pages. Blank pages are so intimidating to me, but the more artsy journalers seem to love them! I really love dotted pages because it can help with straight lines, but the dots are so small and lighter colored than lined pages. I love having a bound journal too. There's just something about a ring bound journal that always has me on the fence. I hate trying to write and the rings getting in the way. But if that's what you love, I have dot grid and graph paper printables you can check out here. They're letter sized, but you can cut down to whatever size you want and create your own ring/disc bound journal as you please! Again check out the video, but basically, make symbols to help you keep track of your tasks and what you are doing with them. You can do the recommended symbols or create your own! For me, each task gets a bullet point and when I finish it, I X out the bullet point. To me, this is for the super organized or the want to be super organized. I like to set up my journal with my future, monthly and weekly logs in the front and then all my other collections in the rest. Doing it this way, I don't necessarily need the index, but it can be helpful so I still use it. This is where you number the pages (or get a journal that is pre-numbered, like the Leuchtturm 1917 that I have) and write in the front of your journal what is on what page so you can quickly find what you are looking for. I like this page because it gives you a full calendar view and then you can mark in things you need to when you haven't set up that particular date's monthly/weekly/daily pages yet. You can set up a block calendar (like a planner does) or just do a list of dates and days of the week. I go back and forth on which I like better. Most of the time, I like the list because it's less for me to do and a little more minimalist/streamlined. This is the nitty gritty of my journal and the pages I use the most. This is where I plan my week, write in tasks and to-do's, appointments, etc along with my meal plan and any notes for that week. These are just pages in the back of my journal after I mark out what pages I will need in the front for my log pages that I write notes in. It's really for anything! I have some pages with blog post ideas, tracking what we've done in our homeschool, and I even have a section of notes from when I read Pinterest Ninja! These note pages hold the keys to everything I need to/want to remember. Instead of them being strewn about the house on post it notes, they're contained to my bullet journal! The beauty of a bullet journal is there's no one "right way" to do it. What matters is that it is set up in a way that will help you the most and keep you organized and on task. You can just use it as a list maker. There's tons of ways, but what will work for you is just something you have to play around with. Which is why I suggest either using an old journal that still has some empty pages or buying a really cheap spiral or composition notebook to play around with until you find what you like. I know there are some of you that are still not completely convinced about bullet journaling. You are intrigued, but love your pre-printed planners. There are some solutions for this! My most recommended planner to bullet journal in? The Happy Planner. This was actually the last planner I used before switching to bullet journaling and it was the closest thing to what I wanted in a planner that I had ever tried. 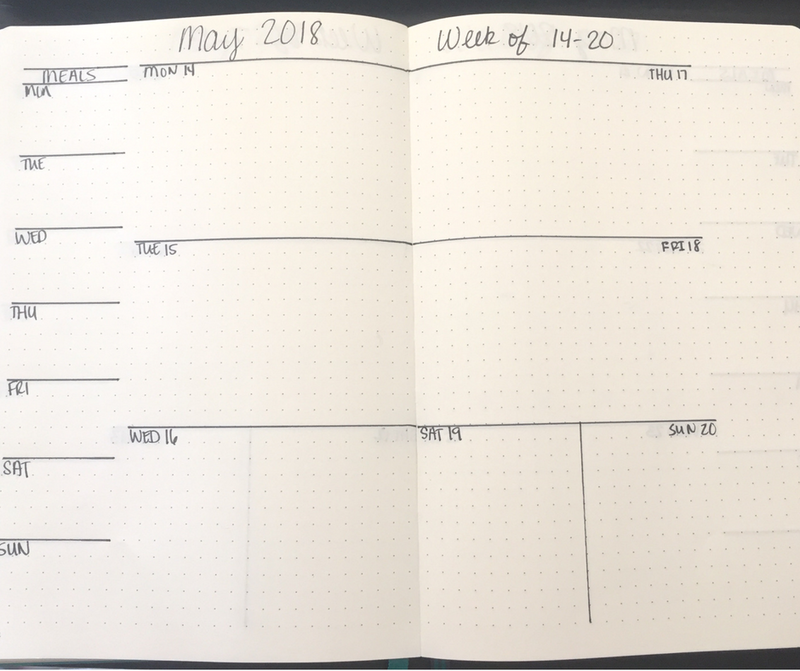 Their vertical layout makes it super easy to bullet journal in, separating the days into 3 sections. They also offer horizontal layouts that are lined for those of you that cannot live without the lines! The other planner I recommend to bullet journal in is the Erin Condren Life Planner. This is like the Mercedes of planners. While I've never owned one, I researched this baby like crazy and almost bought one. But I was a poor newly wed and didn't think my husband would approve of the purchase. But it has so many options and functions that you could easily use it as a bullet journal! So, what are you waiting for? It's time to jump in! 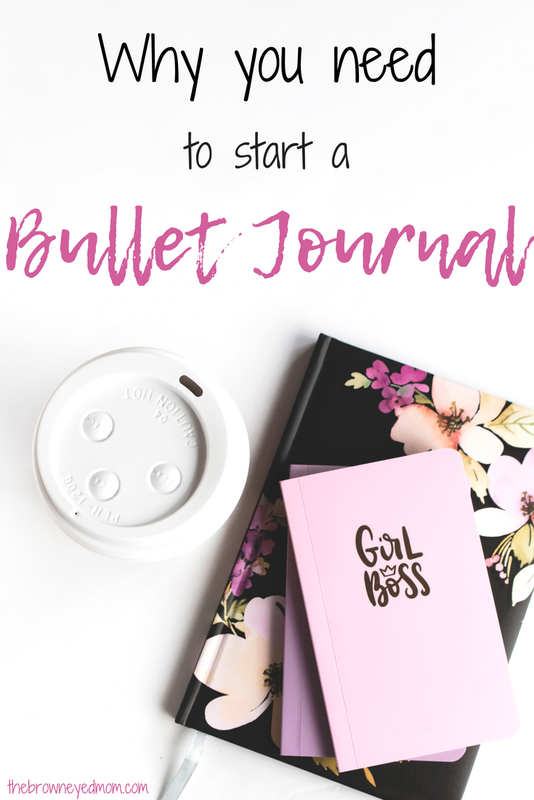 Check out the bullet journal supplies I use below.